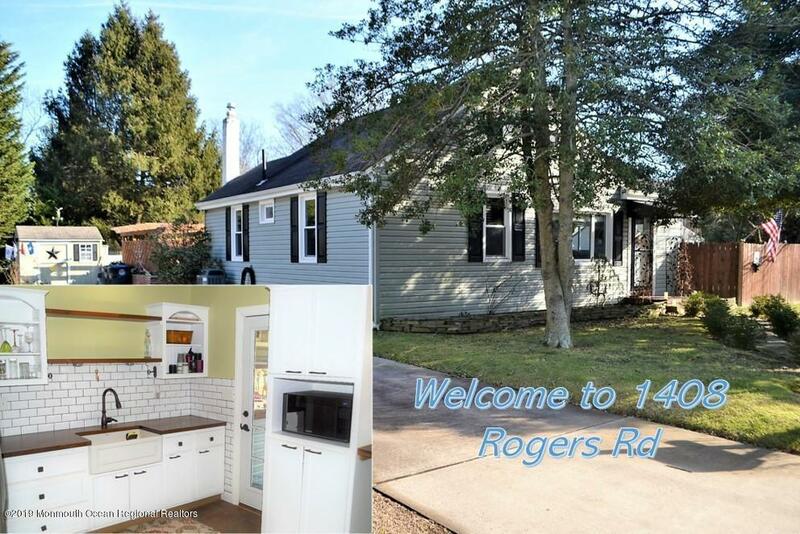 Welcome to this updated charming home located in Wall Township. When you walk in you're greeted with a living room/dinning area combo. Around the corner is an updated kitchen with custom soft close cabinetry, a farm house sink, gorgeous wood counter tops and stainless steel appliances. Off the kitchen there is a bonus room with plenty of natural light that could be used as a family room, office, formal dinning or den. Two Bedrooms and a completely updated bathroom finish this floor. The second floor is used as a changing area with ample storage. The full basement includes a bar and workshop areas. The backyard is an entertainers dream! Large 100x100 lot, patio, pergola, gardens and plenty of room to expand or add a pool! Located close to beaches, shopping and major highways!